Sally is six years older than she was in The Ruby in the Smoke and now a twenty-two year old financial consultant in London. One of her clients, however, as been wiped out of her life’s savings by taking Sally’s advice in investing in a shipping interest, and Sally is determined to find out what happened to make a previously going concern fold. Her inquiries soon lead to a much larger scenario involving murder, romantic intrigue, and corporate conspiracies. Set against a backdrop of spiritualism and “the woman question” (The Married Women’s Property Act, the marriage market, women in the work force…,) The Shadow in the North is rather brutal emotionally and doesn’t shy away from the vicissitudes of the Victorian Age. Pullman doesn’t pull any punches and shows the reader/listener a time and place of ruthless ambitions, greed, and violence visited upon those who have little or no defense against such social and moral inequities. Philip Pullman builds a world with seeming veracity and Anton Lesser brings it to life with superb characterizations and a classic British accent. n.b. – Extreme violence directed against men, women, and a dog; Limited violence against a child. 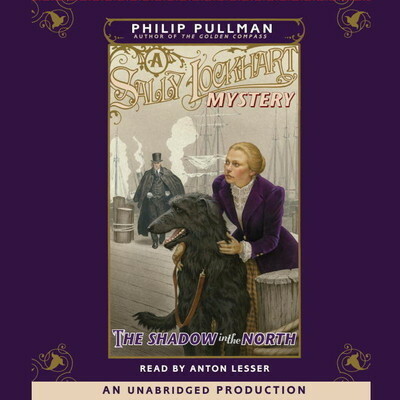 OTHER: I dnloaded a digital copy of The Shadow in the North (Sally Lockhart mystery, Book #2; by Philip Pullman; narrated by Anton Lesser) from downpour.com. I receive no monies, goods or services in exchange for reviewing the product and/or mentioning any of the persons or companies that are or may be implied in this post.